While liver fluke burdens on pasture have generally been lower than last season, experts are warning it is dangerous to assume this applies to all farms, all areas on a farm, or that levels will remain low as the autumn and winter progresses. Don’t get caught out by treating too early. Many sheep farmers treat for fluke too early in the autumn and assume this will provide sufficient cover for their flocks. This is unlikely to be the case. Monitoring is essential to determining the need and timing of further treatments. Worms can produce similar signs to liver fluke disease. This has caught some farmers out this autumn, including in ewes which can be affected by the Haemonchus contortus (or Barber’s Pole) worm. Investigate deaths. A post mortem is still the gold standard to establish whether fluke is present, so consider further action with deadstock. Monitor abattoir returns carefully. These are valuable reports regarding the presence of liver fluke. In lower risk situations, consider treating sheep with closantel or nitroxinil. This will take the pressure off triclabendazole, to which resistance is building. Seek advice from your vet or animal health advisor on product choice. Rebecca Mearns, Biobest: “We are receiving a lot of faecal samples for testing for fluke eggs and the fluke feeding antigen (coproantigen test) and many are also examined for worm eggs. There is still little evidence of liver fluke on faecal testing, though we have had some high positive blood antibody levels in first season grazing cattle, so liver fluke is clearly still out there. In lambs we are also still seeing some very high worm egg counts, and this seems to be a major problem leading to poor performance and ill thrift right now. 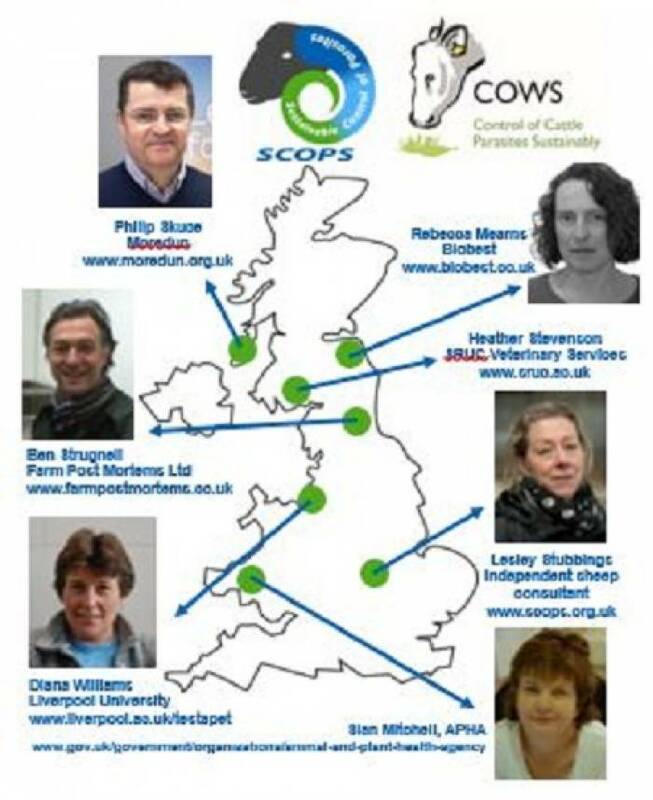 More at www.scops.org.uk and www.cattleparasites.org.uk. This press release is issued by National Sheep Association (NSA) on behalf of SCOPS. For more information contact Katie James, NSA Communications Officer, on 01684 892661 or [email protected].